Triumph'd BMW-alike was slow to sell, but that means you can find bargains. Triumph’s giant tourer is quite literally a lot of bike for your money. Nobody wants a Triumph Trophy, it seems. I’ve mentioned the 1200 Trophy before, as a particularly slow seller, but it’s not just a rare sight on our roads – its residuals are appalling. I’ve been pondering a 2013 model, with under 22,000 miles on the clock, up for sale by a dealer at £6900 and it remains unsold. These cost around £13,000 when they were new: over £14,000 for the SE version. You’re looking at depreciation of close to 50% over four years and relatively few miles. A BMW R1200RT, same year and mileage, would be over eight grand at a dealer. Intrigued, I checked out some other Trophy selling prices. If you want a cheap(ish) used super tourer, this is absolutely the one to go for. I can understand why a dealer would put up a 2015 SE model, with 500 miles on the clock, at £10,500, but you just don’t need to pay that sort of money. I reckon you could get a 2012/13 model, in super condition, from a dealer for around £6000, if you haggled hard. Less if you look through MCN Bikes for Sale. 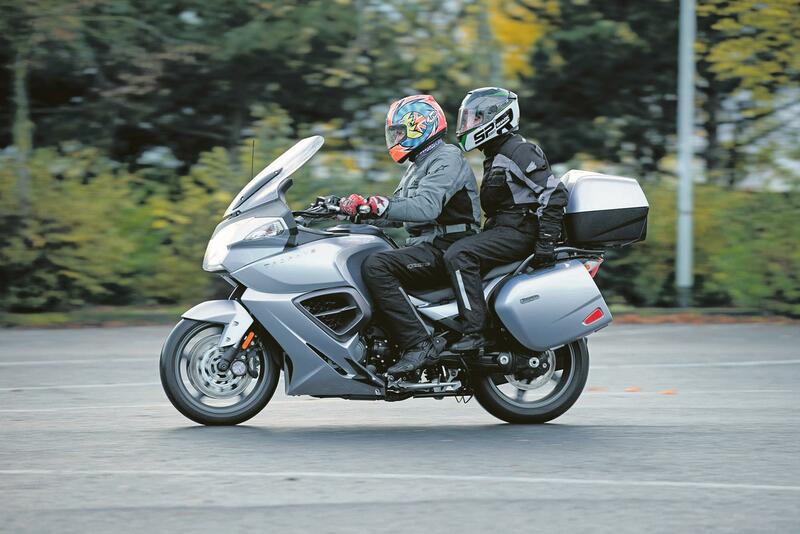 Triumph’s 1200 Explorer is another great bargain. How about £4500 for a 2012 model with ABS and all the toys? Four-and-a-half grand! Admittedly, it had 54,000 miles on the clock, but who cares? And if you don’t like the high mileage, six grand is all you need for something super, with under 20,000 miles on the odo. The message is clear – if you’re going to try and make a giant tourer, or a giant adventure bike, whatever you do, don’t build a BMW clone, because the new- bike buying public will choose the genuine article every time. But it is great news for Triumph-lovers who want to sniff out a bargain.